Within the myths, legends and history of mankind runs a recurring theme. From time to time, at certain crucial turning points in our cosmic odyssey to self-awareness, there has occurred a cyclical, mystical, mysterious and remarkable communion with the beings of the seas – the cetaceans- the whales and dolphins. Whenever this has happened, a resulting spark of inspiration has illuminated the ensuing phase of the civilising process, only to fade gradually from conscious memory, blending with the chatter of myriad other myths and legends - until the next time, now. Whales and dolphins – the ancestors of the ancestors. The record of our inspiriting communion with cetaceans, this space contact between the two great intelligent mammalian races sharing this unique blue speck, is deeply encoded in myth, legend, art and anecdotes, poetry and literature, handed down for many generations. Whales and dolphins are revered the world over. As we pass through the current crisis of civilisation, tossed about in the creative chaos of the cusp between ages, a door of perception is opening again, driven by new knowledge, new insights and the new medium of modern communication. Once again cetaceans present themselves, as they always have, to assist us. These ancient mythic tales take on dramatic new meaning as science begins to plumb the depths of the cetaceans’ meaning and significance. 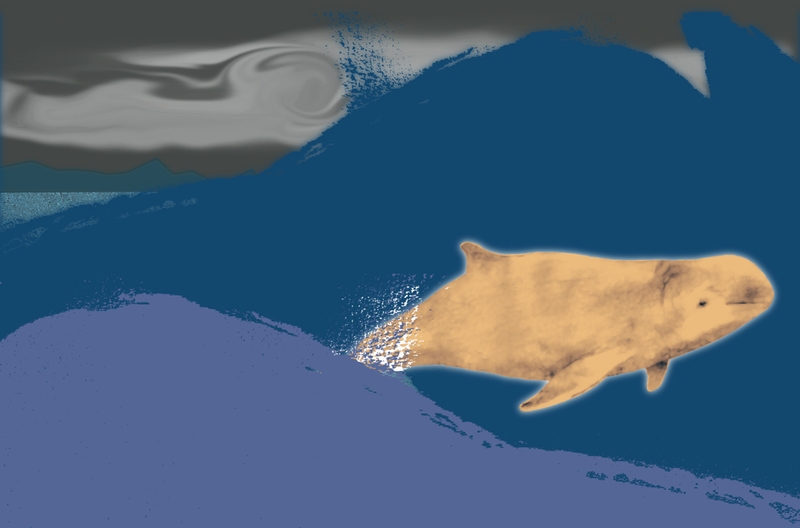 Popular imagination is fired with cetacean inspiration. The world is looking a bit grim, so take a few minutes to get up and dance to some uplifting tunes to clear life’s fog. Let notes sampled into the music from modified whale sounds give you a pick-me-up! Cetaceans are the Whales, Dolphins and Porpoises. These wondrous mammals have swum our planet’s Oceans for some 50 million years. Cetaceans were at home in Planet Water before we renamed it Planet Earth. Cetaceans have forever sung, and still sing the songs of our Planet Water. From a time before memory to this very moment, there has been a profound connection between humans and Cetaceans, a mysterious and much celebrated bond, likely fundamental to our existence. A global phenomenon of ancient stories, myths and legends relate this remarkable interspecies love affair, a continuous cultural, mystical and spiritual promise since our beginning. 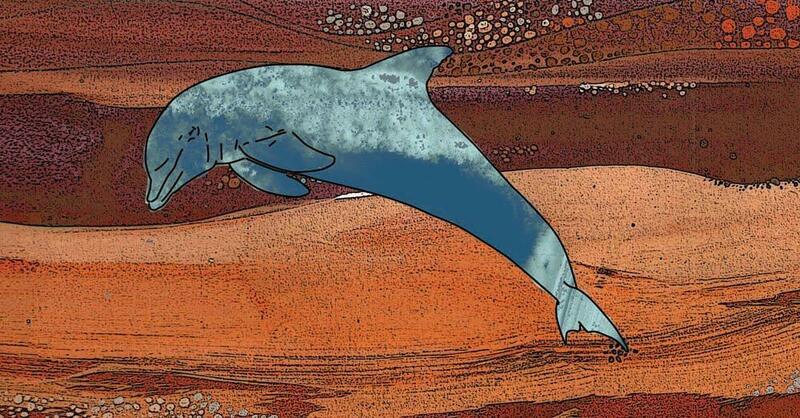 Creation stories of many ancient peoples tell how Humans were once born of Whales or Dolphins. They are the ancestors of our ancestors. Cetaceans embody our most potent archetypal connection with Nature, our Creator. Legends & Tales of Dolphins & Whales celebrates this remarkable and miraculous relationship, the music inspired by many journeys and intimate encounters with Whale Dreaming peoples, Whales and Dolphins. The Sounding is a collective creative talent of musicians, producers and DJ’s who have found a mutual admiration, love and commitment towards cetaceans. The Sounding was formed by this group of friends to share the stories of Man’s long and intimate relationship with cetaceans. The myths, legends and stories old and new, come from all over the world and are expressed in the music of Legends & Tales of Dolphins & Whales. The Sounding is a part of Mirthquake Limited, an organisation dedicated to articulating this remarkable phenomenon, in music, film, live performance, along with Mirthquake Productions Ltd. and Mirthquake Foundation, a UK based registered charity, www.mirthquake.org. This common cause resulted in The Sounding forming to record their debut album Legends & Tales of Dolphins & Whales. The album is an uplifting blend of retro dance, jazz, chill-out and ambient vibes. The Sounding seeks to bring the beauty and importance of these magnificent beings back to the forefront of our collective consciousness. 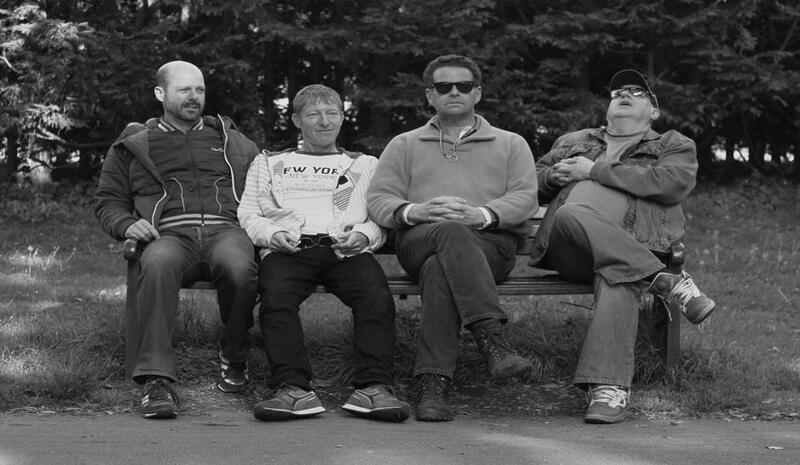 Based in the West Country, The Sounding are Dave Grier (Engineer, Producer, DJ) Kevin Lloyd (Producer, DJ) Ian Middleton (Producer, DJ) Max Middleton (Music Director, Keyboards) and Napier Marten (Producer, Creator). Napier Marten has dedicated his life to ‘Seeking Cetaceous Insight’ between mankind and cetaceans. He has put his words into action by pursuing this understanding through travel, film making (Whale Dreamers 2006), live performance and Mirthquake Foundation. Max Middleton’s talent on keyboards and in composition has seen him work with many great artists including Jeff Beck, Beck, Bogart and Appice, Hummingbird, George Martin on the soundtrack of Sergeant Pepper, The Bee Gee’s, Peter Frampton, Kate Bush, Chris Rea and the late John Martyn among others. All the artwork has been designed by Johnny Bull, who has forgotten how many album covers he has created for amongst others, Dire Straits and The Boomtown Rats. Johnny has produced a series of wonderful signed prints for The Sounding, all of which will be available on the website www.thesounding.co.uk.